The newest generation of experimental efforts on the International Space Station are based on engineering-driven science emphasizing partnerships with industry and collaborative international teams. The goal is to understand materials behavior in microgravity to attain higher-performing materials, enhance discovery and promote innovation. The approach is to promote open-source informatics and use of shared-resource facilities to revolutionize global access to cutting-edge research. 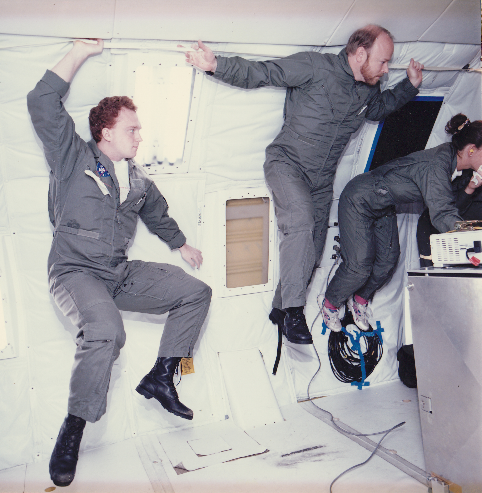 But what does it really mean to get an experiment ready to run in space? This presentation will focus on what work is currently planned on the International Space Station by US investigators using NASA and international facilities. As part of this discussion, the speaker will share his personal experiences bringing ground-based research to space. Dr. Matson focuses on the science of engineered materials and in training Tufts students as leaders in the production, processing, and manufacture of metal, plastic, ceramic, and biomaterial products. To this end, he has concentrated on three main areas of research. These are solidification and space processing, advanced materials, and engineering education outreach and service learning. He serves as the US Facility Scientist and Chair of the Investigators’ Working Group for the European Space Agency’s Electromagnetic Levitation Facility (EML) onboard the International Space Station and as Faculty Advisor for the Tufts Student Chapter of Engineers Without Borders.